Google Nexus 7 2nd Generation 32GB, Wi-Fi, 7in - Black. This warranty covers the unit for any manufacturer defects. Warranty & Support. Nexus 7 runs on a powerful Snapdragon S4 Pro 1.5GHz Quad-Core processor, which, along with the 2GB RAM, provides enough power to operate any task. The phone is equipped with the Android 4.3 Jelly Bean OS and has a stunning 1080p Full HD display. A 5MP camera and storage of 32GB allow you to capture photos and save them without ever worrying of running out of space. The reason I could not give 5 stars is because they tend to have a manufacturing defect pertaining to the screen rotation and touch screen....though I was able to fix it ..it still required me to take it apart and do so...after the fix it it an awesome tablet the screen is great only one better would go to another awesome tablet the Kindle hdx..however it has a major flaw as its a Kindle and cannot modify it or enjoy the play store and with the amazon lackluster app store it killed it for me...but I do love my nexus 7. Is it good value ? Maybe, but definitely not yes or no. It is relatively user unfriendly, not easy to learn. Basic functions like file system, storage to USB are missing. I had to find those solutions on line because the pdf manual is bad. No directions for using the cameras or where the photos are stored. Recently I got dumped on with hundreds of unwanted photos from my daughter and I still have to figure out how to get rid of them. I still have to learn how to use google drive and few other things like how the sharing works. I use 2 languages and there is no easy and fast way to switch between them. 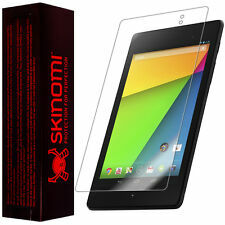 You will love this tablet, it sleek, fast and is user friendly. 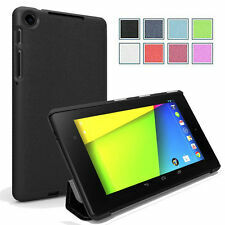 Both Google 7 inch tablets are by far there bast available in almost every way, with one exception which is price. Everything else equal they are probably the most expensive. But you can save as lot of money by buying new on EBay or another trusted site. I have owned almost every major brand of tablet in 7, 8, 10.1 and 11.6 inch sizes. I never thought I would like the Google brand, I was bothered by the absence of a microSD expansion slot I came to realize that extra SD cards are just a pain. All you need is cloud storage or USB sync with another computer to transfer or backup. Plus android apps are small, stop thinking in Terabytes like Windows needs. Google tablets are great, but whichever you choose don't get ripped off at the big store buy online and save at least 30%. Great tablet for the price. I have bought 7 or 8 nexus 7 2nd gen tablets, all used, and they have been great. Two kids used them and they held up fairly well, considering. My Husband and I have been using ours for about 3 years with very little problems. Negative: the kids always destroy the charging ports, but, then you can still charge with a Qi wireless charger. Also, one kid cracked the screen on two tablets.